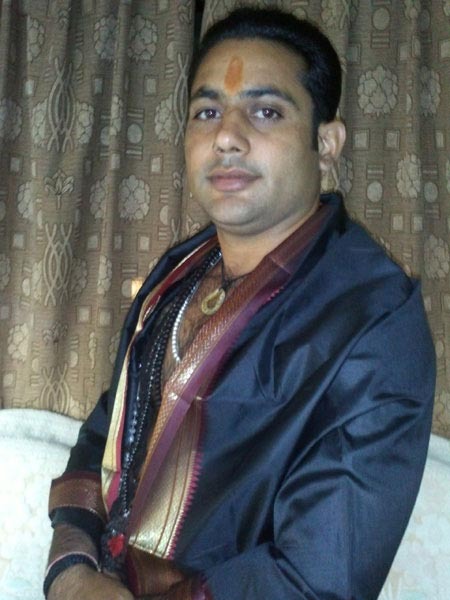 Tripur Bhairavi puja should be performed a place where you keep your money or safe. Purify the place with gangajal and make a rangoli with beautiful colors and flowers. Take bath in the evening and wear new clothes before commencing the prayer. "Om Tripurai Cha Vidhmahe Bhairavai Cha Dhimahi Tannao Devi Prachaudayat"
Goddess Bhairavi or Tripurabhairavi is the fierce and terrifying aspect of the Dasamahavidya who represents divine anger and wrath. Yet her anger and wrath is directed towards impurities within us as well as to the negative forces that may try to interfere with our spiritual growth. Though a difficult force to bear, her activity is necessary both to guide and protect us. She is more of the proverbial wrath of a mother towards whatever may threaten her children. She is also called Shubhamkari, meaning the one who does the good things. She is often depicted as holding a book, rosary and making abhaya and varada mudra with her hands in this form. But in the form of Bhairavi, she is fierce. It is believed that when she entered the battlefield, her appearance itself made the demons to panic. In the Durga Saptashati, she is mainly seen as Chandi who killed the demons Shumba and Nishumba. 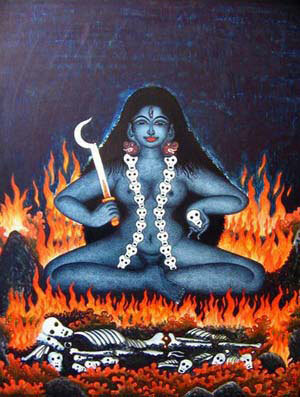 She is also called Chamundeshwari when she kills and drinks the blood of Chanda and Munda. In her violent form, she is often depicted as sitting on a donkey with her mouth full of the blood of the asuras. Her body is covered with a tiger skin and skeleton. Her two hands depict the abhaya and varada mudra and in her other hands, she holds a trident, axe and thunderbolt.